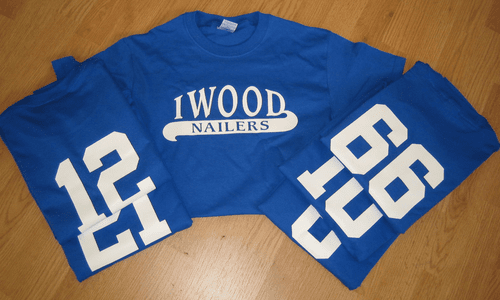 Custom printed sports team t-shirts. Construction company logo printed on the front, numbers according to players shirt size printed on the backs. White print on royal blue t-shirts.